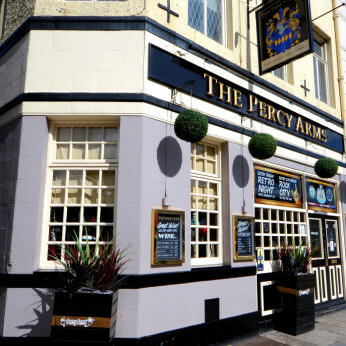 The Percy Arms is a traditional pub, operating in the centre of Newcastle. It is heavily influenced by sport, with a number of big screen televisions and a projector. However it is also entertaining for those who just want to enjoy a drink... With the popular retro and rock nights on Friday and Saturday respectively, the Percy offers an ideal place to enjoy yourself.